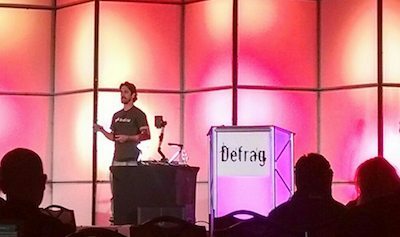 I recently had the pleasure of speaking to an audience of my peers at the awesome Defrag conference, held annually in Broomfield, CO. I spoke on a topic that I’ve been thinking about for some time, about how we’ve approached the community side of the SendGrid business. Here’s the complete slide deck. Let me know what you think, by commenting below or tweeting me @TimFalls. As entrepreneurs, I believe our time is better spent building relationships rather than “generating leads.” A handshake is worth more than a click. A personal connection will create more opportunities than a cold (or even luke warm) email. This, IMHO, is where marketing should be focused today. At the same time, I recognize and appreciate the necessity of “traditional” marketing within a successful marketing mix. Ads/retargeting, SEM, content downloads, webcast registrations , referral programs — all are useful, and arguably necessary, tools for attracting new customers and building a sustainable business. The simple fact: they work. Clearly, I work with SendGrid. Clearly, we exercise both of the above-described approaches when building awareness and acquiring and retaining customers. In my 3+ years at the company, I’ve contributed to all facets of the broader marketing program. In my interactions with others, I’ve found that a lot of companies want to invest in the relationships model. But few do. To encourage more to take the plunge, I like to share our experiences and advocate for a well-balanced approach to growing up. Reconsider your current marketing strategy, regardless of the maturity of the company/department. Confirm for yourself that you firmly understand your strategy as it is today. Consider how you got to where you are today. What decisions led you here? What mistakes did you make? What is working / what isn’t? Because it forces you to think critically and constructively. Reevaluate. Reimagine. Try something different. With an understanding of the state of your marketing program, next answer the question, What do we currently do to build relationships within our community and with our customers? How much of your people’s time is dedicated toward the following? community contributions: Open Source projects, API libraries, help forums, etc. Chances are, you’ve found a deficiency in such humanistic efforts. To refocus through this alternative scope of thinking, you may sacrifice time currently spent on SEO, funnel metrics, lead scoring, and the like. You may encounter disagreements and conflict between team members; do not avoid it, embrace it, and grow from it. You’ll find that the trade off is well worth it. With a focus on building relationships, you will inherently help more people and make more friends. Write and release 2 new API libraries in the most popular languages used by developers working with your product. Ask each member of your engineering team to address two questions per week on Stack Overflow – Qs related to your API, product category, industry, etc. Measure: impact on volume of incoming support requests; reputation of each individual, according to the Stack Overflow community. Audit your documentation, create improvement plan, make happier docs! Measure: developer satisfaction survey before/after changes; web traffic to docs pages, page rank for relevant search results. Commission developers to create and deliver content through the company blog, by giving talks at meetups/conferences. Measure: blog traffic; total web searches for “company_name” around time of speaking engagements; Twitter followers of individual contributors and company. 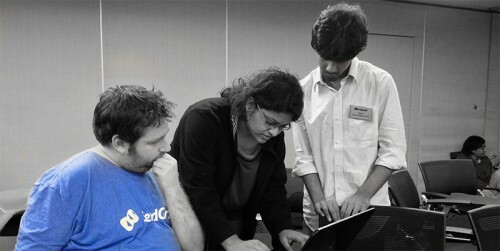 Send two of your most outgoing developers to a hackathon (ask for volunteers.) Their mission: form or join a team (preferably, they split up), write code with their peers, and incorporate your API into their project(s). 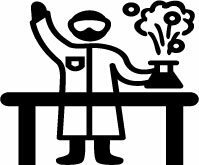 Measure: gather direct feedback about the experience afterward—positive? negative? helpful? fun? interaction with other devs at event? Change 3 things about the way you do marketing today. IF today, you do X. THEN, tomorrow, do Y. IF today, you do X in way A. THEN, tomorrow, do X in way B. Feel free to borrow from the five suggestions above, but ideally you’ll identify initiatives that will be specifically valuable and impactful to your business. Measure the impact however you can. But if you can’t, don’t sweat it. In fact, here’s an extra challenge: make it a point that one of your three changes is something you can’t measure (or at least don’t know how to go about doing so). You may figure out how to measure it in the course of doing, but in the meantime it’s useful to deal with the uncertainty—it will push you to have faith in your instincts and understanding of your community. For many, the question may still remain: “Does it really work?” The answer is, “Yes.” But don’t take it from me. Read this first-hand account, written by a developer who experienced the magic IRL. From a warm greeting, to a genuine offer of assistance, to a purchase decision. No ads, no content, just people connecting with people.